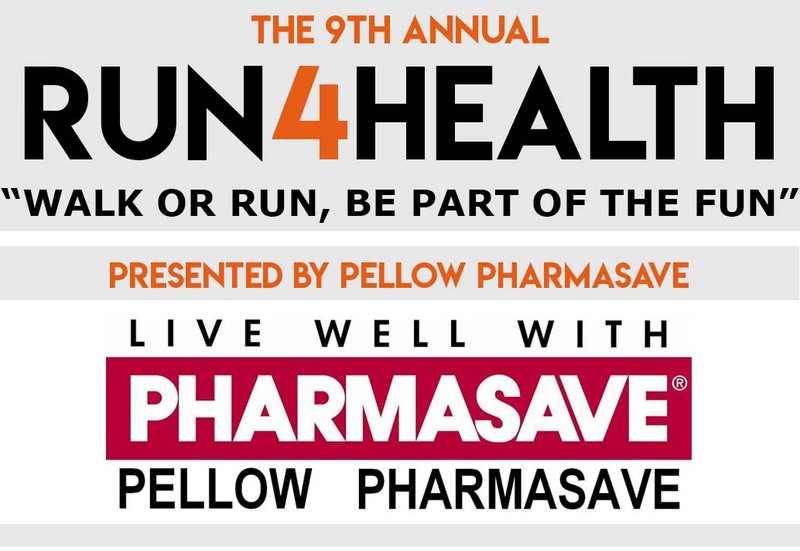 Help us Help you...If you reach out to your friends, family and co-workers and obtain a minimum of $100 in pledges, you have the option to either get your registration fee back/or donated to this great cause! For Manual Day Of Registration Forms, Click Here! Gather your friends, family or co-workers and create a team of any size. Don't forget to name your team! 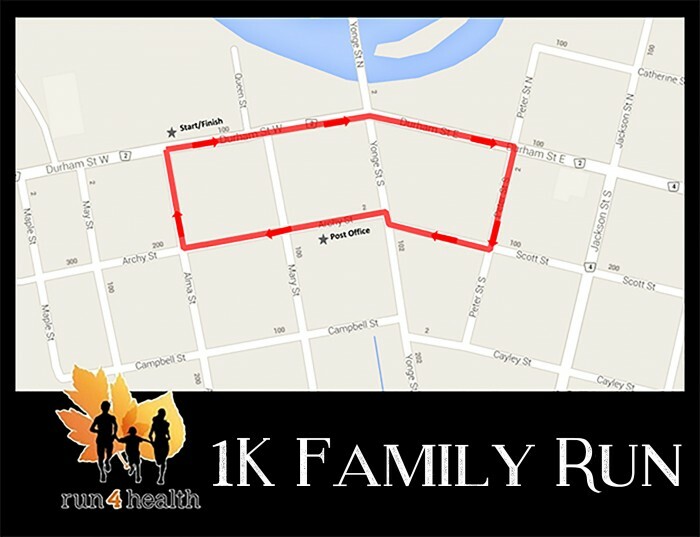 Team members can register to walk or run in any sub-event and do not have to cross the finish line together. Challenge your business neighbors/competitors to compete and raise more money and/or look better than your team. Schools are encouraged to put a team in and challenge another school in their town or in their “family” of schools. Trophy awarded to the school team with the most members. 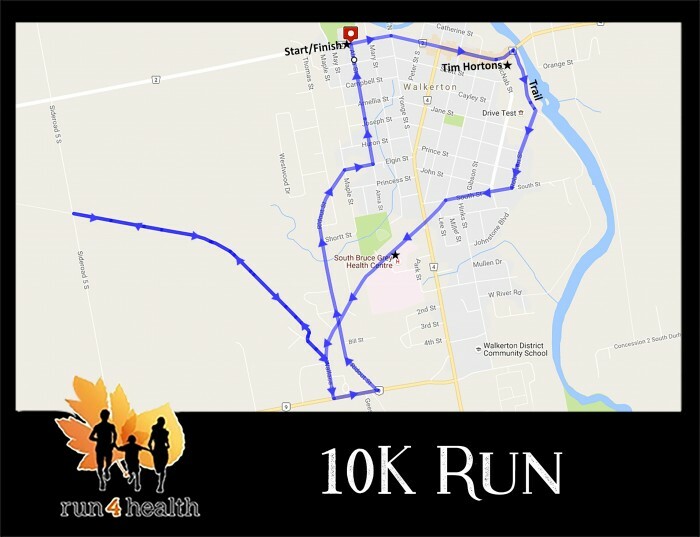 To register for the team challenge, follow the registration prompts when registering individually. SET UP YOUR PLEDGE PAGE &amp; START FUNDRAISING! 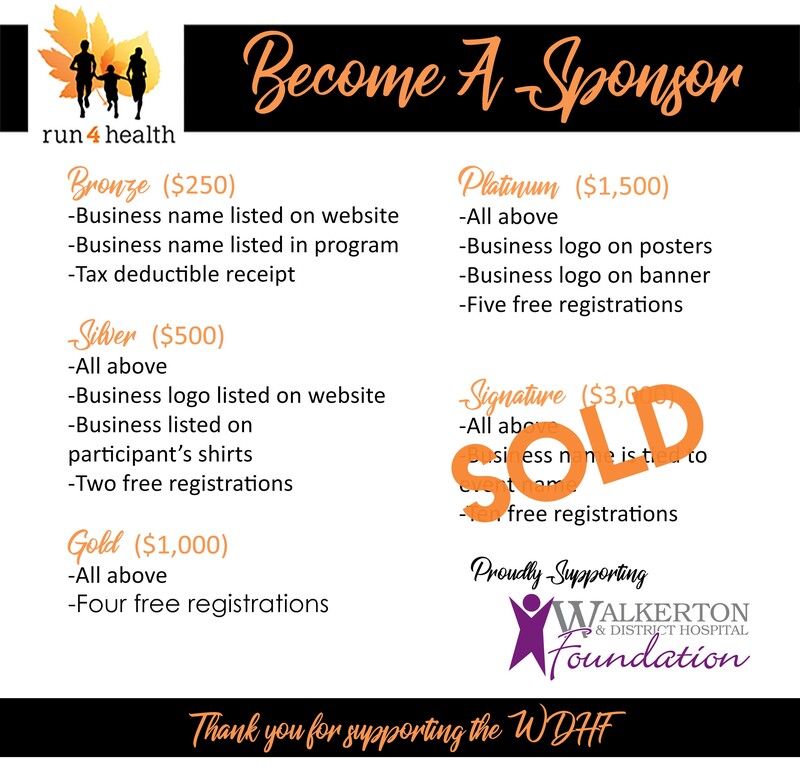 Run4Health is excited to offer all our participants & volunteers the opportunity to help drive fundraising and awareness for Walkerton & District Hospital Foundation, by creating a personalized fundraising page. A big thank you in advance for your support! Download the individual pledge form here! Download the sponsorship form here! 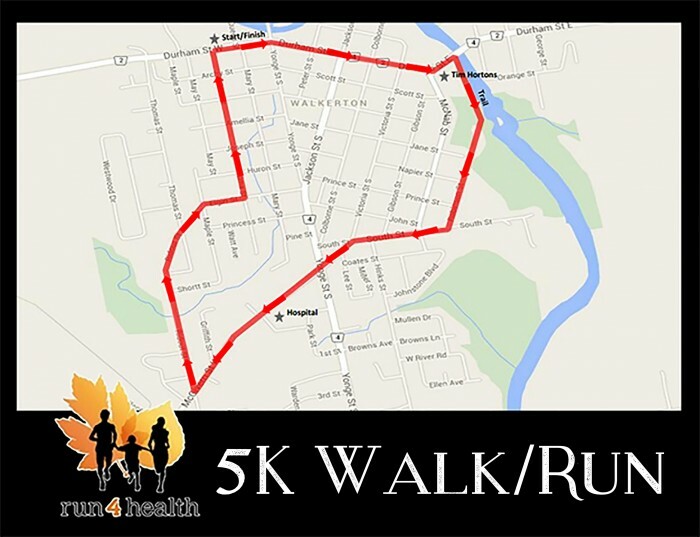 The 8th annual Run4Health raised over $21,500 net for the Walkerton & District Hospital Foundation! The 5K and 10K runs will be timed using a chip timer. Results will be posted shortly after the race. 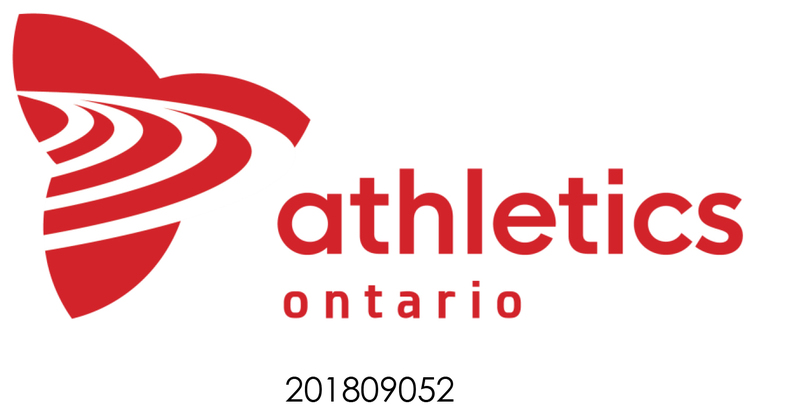 We are an accredited race under Athletics Ontario! 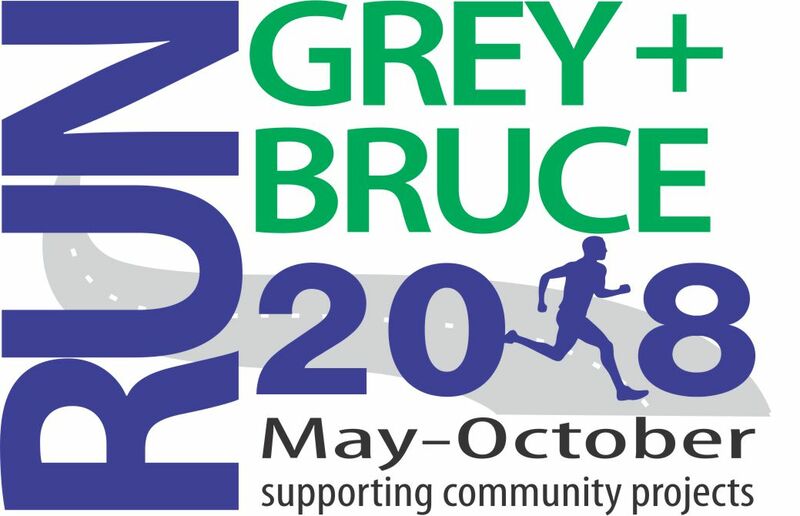 Run4Health is proud to be part of the Run Grey Bruce running community!